As a dentist my hands are very important and I protect them with these. They fit well and were easy to install. 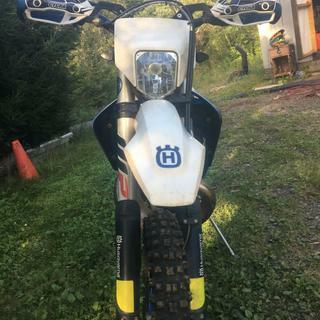 I went with the black for my Husqvarna because I had read on previous reviews that the blue wasn’t a perfect match. I am really happy with my choice to go with black. It looks amazing on my bike. The Pro Bend is amazing too. We do a lot of riding in trees, so these were definitely needed. I chose black and love the fit and look! Fit great, havent tested durability yet. But they sure look nice. Had to buy the other bar clamps to fit the contour of my fatbars. Easy to put on. Good design and well engineered. 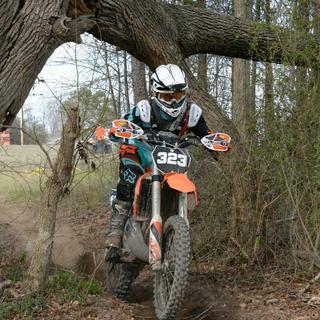 First enduro I was very happy with how they held up and performed. Fit great, look awesome and are very strong. I have had the regular cycra pro ends in the past and these are all the same protection with easier install and better look. 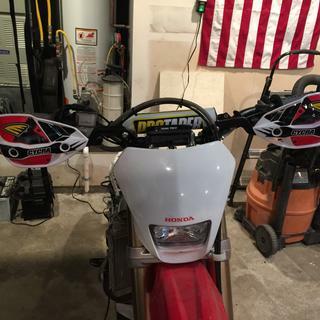 No better hand guards out there, even the regular Cycra Probend's are just fine, just don't look as good. I did have to get a little western with them to get the bolt holes to line up, but these suckers ain't moving. Called Rocky Mountain the other day after ordering the wrong bar diameter online the other week. The agent that assisted me was very helpful. Got the correct size the other day and am happy to report that these not only look great but over improved protection and ventilation. Great product! Would definitely recommend if you are looking for some protection for your levers. Also, they have them in husky blue! Get the regular Cycra CRM probends instead of these. Cycra tried to make an upgrade, probably to add style, however they made an awesome handguard worse. The handshields are flimsy and crack easily The regular CRM shields withstand major abuse, these do not, The aluminum guard itself also bends easier than the regular CRM. I have very little to gripe about with these guards. They are a full coverage, great looking, even better performing piece of artwork. HOWEVER, Like everyone else has mentioned, the Allen bolts/wrenches that come in the kit leave a lot to be desired. They are no where near a good fit, almost like a standard Allen wrench for a metric Allen bolt. Other than that, these things can take a beating. I ride in the Pacific Northwest where mud and rocks are par for the course, and these have yet to bend of break. Highly recommended! Stickers were half hanging off and was missing bolts! For the price I wasn't to happy with the quality! Some of the bolts were near impossible to do up with out stripping the head couldnt get any hex/Allen key to fit ???? The fit was perfect and the installation was very easy also. It arrived on time and most of all they look great.They are very durable and good quality. 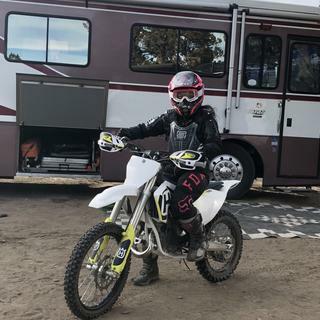 I definitely recommend these hand guards. Man these things are bulletproof! I swapped over from the acerbis rally x guards which I destroyed in 10 hours. I'm very tough on my bike, and it goes down hard in rock gardens and at high speed. It's not uncommon to having my bike falling down a 10 ft rock face. These things have taken 60 hours of hard abuse and they haven't budged. Obviously the plastic is destroyed but that's an easy fix. Will definitely be putting on the next bike, can't live without them! Well worth the money. I've had a set of the Cycra Probends with their U-Clamps on my WR450 for a couple of years. I've been quite impressed. They are scratched, but have never bent and the shields are still solid and in one piece. Based on that, I ordered this Probend CRM Complete Racer pack. There are a number of things that I don't like about them that would keep me from buying them again. 1. The shields are a little flimsy. I guess this is because they are two piece, but my old shields do not bend at all. 2. The shields mount with a shoulder bolt that is at least a 1/4 inch too short to fully seat in the threads in one of the positions. This gives me the impression that this is going to strip out after a number of hits. 2a. The shoulder bolts have very poor tolerances in the allen hole, the provided allen wrench fits very loosely. 3. The wrap around bar gets very narrow where the bolt head is secured to the bar end. My old bar is quite beefy here covering the whole end of the bar which helps to keep dirt out. This bar end section on the new guard bar is much narrower exposing the end of the handle bar, the grip, and the throttle tube to debris going right into it upon landing. On the plus side, other than the shoulder bolts, the mounting installation went smoothly and the inner mounts work well. The shoulder bolt issue could be resolved by some higher quality bolts and providing one slightly longer bolt per side. I'm not sure why they narrowed the wrap bar at the handlebar end. I would not recommend these to a friend and would likely go with the cheaper bars if I needed to replace in the future. These are a great buy for anyone who does woods riding. I wouldn't ride in the trees without these. Very easy installation, offers great protection for your hands. These are a must for trailing. Built very well. Heavy duty and they look awesome. Easy to install. They were fairly easy to install and seem to provide good coverage. I was a little disappointed that the bolts given to mount the grinder guards were very cheap and did not fit the hex size. They stripped very easily when I tried to tighten them. They are strong and take impact really well. Other than that they are great. Great fit on my Husqvarna 701. I was not happy with the fit of the standard Cycra guards on my Husky TE 300. They work well but the metal bars don't fit well where they clamp on the bars in the center. These bars fit much better on the same shape bars on my Husky 701. Look great and and provide good protection. They cost much more but the better fit is worth the cost to me. One of the small plastic guard plates was missing when I opened the package but customer service sent me the missing part right away. Can't beat Rocky Mountain for customer service. Worth the extra money. I really like these Bark busters. Lots of adjustability. Extremely robust. Same size hex head on all hardware for ease of torque checks. Super secure mounting clamps. After smashing a pinky finger. I ordered these up. Can't count how many times they have saved my hands since installing them. Great fit on my 2015 KTM 500EXC. Yes these are a bit spendy but they are worth it. Just taking these out of the box I could tell how durable they are. They have a very solid feel. I went down pretty good this weekend and you could not tell other than the mud that stuck to them. - They supplied the wrong size allen key. Luckily I (and most likely everyone else) have a set of metrics keys. - The graphics were falling off fresh out of the packaging and a piece of graphic was missing. - Installation was not as much of a breeze as I had heard. Using pro taper evo woods high bars, I had some difficulties getting them to line up properly. For the price, you think my first two issues wouldn't be an issue. Nothing huge but where is the quality checks? Once installed, they feel bullet proof. Highly recommended. I put these on my TE300 when it was new. I have sent that bike flying and broken a lot of stuff but the handlebars have held up great. I like the design of these better than the EE brand. Mounts up pretty easy. keep everything loose until you get all the bolts in place. Once everything is set, tighten everything up and go crash your bike!! These guards will be up to it. 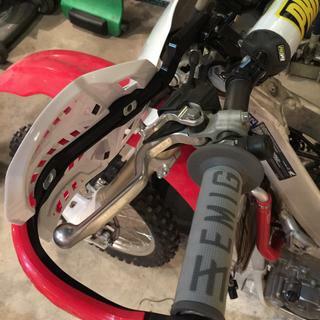 Best hand guards on the market. Built to last and they do look good as well. Unparalleled protection. Great product, amazing durability in the trails. Ive dropped my bike on pavement solid rocks and slammed into trees and still haven't even bent them. i would highly recomend this product for all riders especailly hard enduro racers. This set of handguards are extremely heavy. Very noticeable weight on the bars. Also, with my protaper bars my bar pad would not fit after installing the guards. Nice quality and seem very sturdy. I was disappointed by weight and lack of bar pad compatability. Pricey but glad I spent the extra money. I look at all of the other riders and their hand guards, these look wayyyyyy better and I feel that they cover more than most. Nothing annoys me more than a wet hand, and I feel this helps keep me try as well as brush protection. Look great and are tough. You can tear a tree down with these and they will hold up no problem. Wish they had one more hole for adjustment, can't cut the bars much without running into fit issues but can run 31" bars or so with no problem. Will these fit on Flexx bars with the BRP mount? Will the Ultra Probend fit my Flexx bars. I have the Acerbis on my bars now that use the BRP inner mounting bracket? Will these fit a 2017 husky fe501? BEST ANSWER: Yes they are pretty universal and should fit no problem. The only thing I would caution you on is to not cut your bar width down less than 31" overall. I did and had fitment issues where there was no adjustment left at the inner hand guard mount. If you leave stock bar width or cut 1/2" off each side they fit very nice and are very sturdy. More than likely yes...they are a universal fit. There is plenty of adjustment. They only thing you'll probably have to mod is the throttle tube. The end will need to be cut out so the end plug can be inserted into the bar end. Ask Cycra... 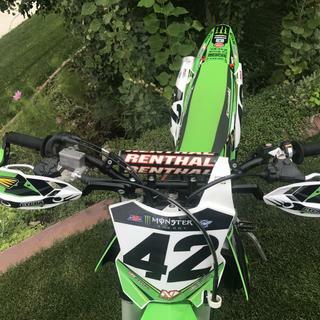 These are the best hand guards period. Absolutely bullet proof. Will not bend and bolts do not come loose. Ten out of ten. I would really think so, I have them on my 2017 KTM 300XCW and my 2016 Yamaha YZ450FX. They fit wiell and easily on both. They will fit any 1-1/8" bar as far as I know. They fit perfectly on a 2016 FE350. Will these work on my pro taper mid Atv bars?? BEST ANSWER: I can’t say for sure about fit on your bar bend but I can say these cycra hand guards are the most adjustable I have ever used. I currently have them on three different bikes. Hope they work out for you , they are worth trying. Yeah they should fit just fine , these hand guards are the best by far .ive had the previous ones also these fit much better. I think it would not have any problem, they are very easy to adapt. If they are 1-1/8" bars, they have multiple spots to fit all.makes. Yes. Best fitting strongest around. Worth the price. Can you buy the pro bend plastic bumpers and out with these ? 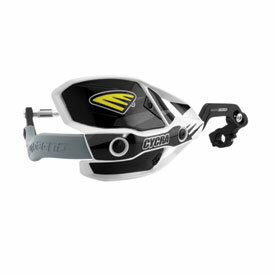 BEST ANSWER: Dear Jesse the Cycra CRM Ultra Pro Bend Racer Pack 1-1/8 bars have been very good and do the job for endure riding don't get in the way at all of any hand controls easy to fit and are very strong droped it a couple of time and all still cool. Not sure what you mean "and out with these?" Outer bumper can be replaced. Yes, I was able to get a second set for these handguards. 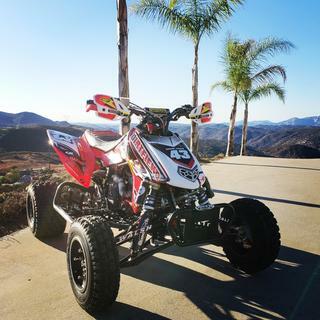 Hi just want to confirm if they will fit on renthal fatbar, 2010 crf 450r? BEST ANSWER: Yep. I’ve had them on all sorts of 1 1/8 bars. I find the cycras have good adjustability compared to others. I ended up going with the threaded insert on the bar end and handle bar clamp mounts eventually just for extra strength and less bar clutter. The stock clamps never seem to get super tight cause of the bar taper. So they will flip up or down a bit in a crash. I currently run renthal twin walls with em. Yes they will, fat bars are only fat in the middle. They are same size at the grip point. 2017 xc-w 300 six days with stock six days bars will these fit? BEST ANSWER: Yes they will fit, just don't cut your bar width down too much or lever clearance will be an issue with theses guards. They should. Because they bolt up straight to the bar bend and bar ends.. 2015 six days xc-w. 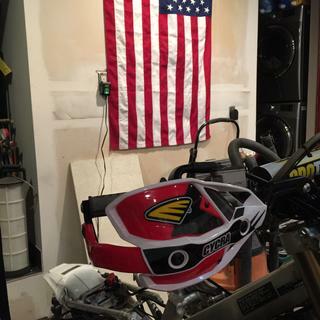 I have these mounted to my 2018 300 xcw 6 days. They fit fine on the stock bars. If the bars are 1-1/8" they will fit. Will These fit ODI bars? BEST ANSWER: Yes, 1 1/8 bars. They fit my factory KTM Renthal bars perfectly. They have room for adjustment. Just confirm your bar size. Yea. Excellent fit and plenty of clearance of the hydralic clutch reservoir. Unlike other brands. 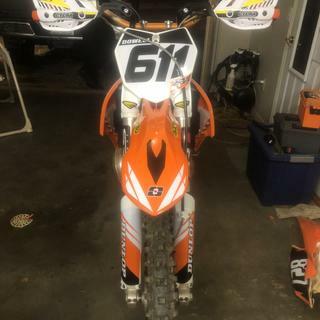 Does this fit the ktm 250 sxf 2006 stock bar? It should fit fine you might have to adjust the mounts or use different ones but should work .i have a pair on my bike as well. The new mounting options are great! Will these fit the Renthal Twinwall Bar ? The bar seems to thin out on the outsides. BEST ANSWER: Yes, I run the same set up. Installs with no issues. When inserting the end into the bar, you will tighten a screw that expands inside the bar. Providing a tight fit. Yes they will fit the bar even though they thin out on the outside. Hello, will the 1 1/8 clamps fit the 2018 KTM 250 xc-w? BEST ANSWER: You just need to know if your Bars are 1 1/8 or 7/8. The Cycra Ultra probends are size specific and come in both sizes. Thank you! Putting them on this weekend. Lost the lower inner u clamp how can I get another? Hi, I think there is no problem, you can get each part separately. Will this fit a 2014 Honda 400x? BEST ANSWER: I was not happy with the way they fit my 2014 rmz450. Not for the price of them. 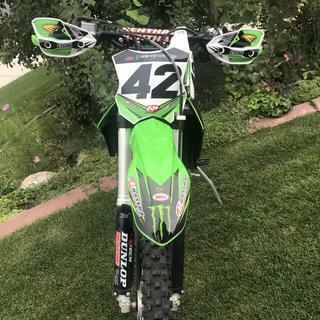 Will these fit a 2016 kx250f? BEST ANSWER: As long as you have a 1 1/8" bar they will work. But if you have a 7/8" bar they will not. Hopefully this helps. will these fit a yz250fx (2015) with stock handle bars? BEST ANSWER: No, these will not work with your stock handlebars. On a Yamaha, they come with 7/8" handlebars and these guards are made to fit handlebars with a 1 1/8" diameter.